Ultra compact and high performance computer takes care of all jobs. Size is small but performance and functions are not inferior. A 100Mbps Ethernet is used as network. 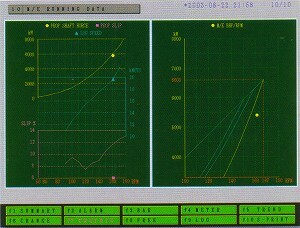 Thus allowing PC (Personal Computer) in accommodation to connect directly. 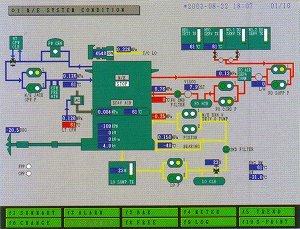 All screens on Data Logger can be obtained at PC. 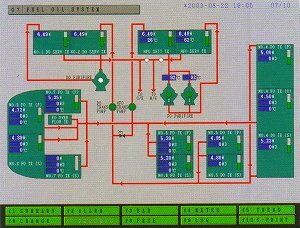 The access point for wireless LAN can be arranged in various places like the engine room. 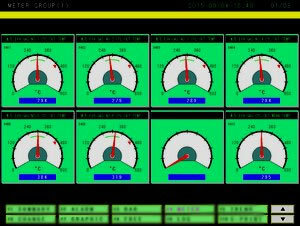 Mobile PC shall provide free access to all the Data Logger screens. 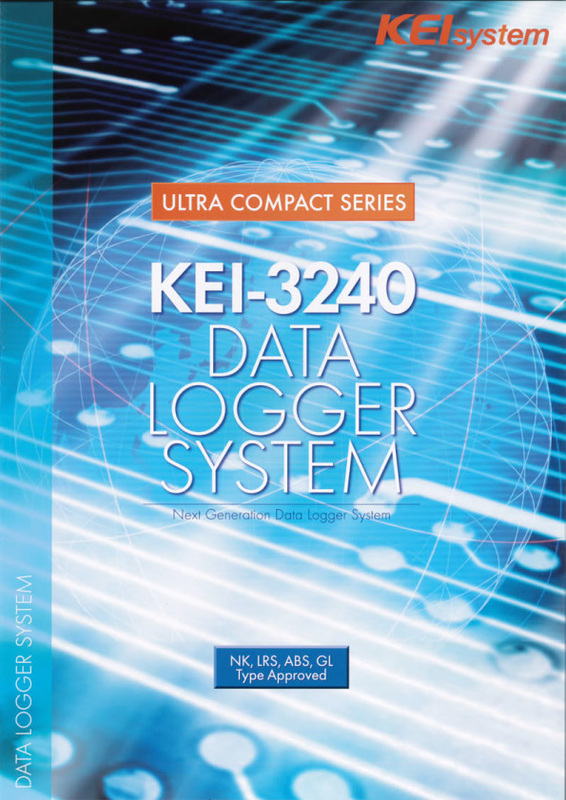 The log printer shall produce ordinary logbook and Hardcopy of all the Data Logger screens. Color and Monochrome are available. USB storage is available as data storage. The Chief engineer’s log for more than 10 years can be stored. 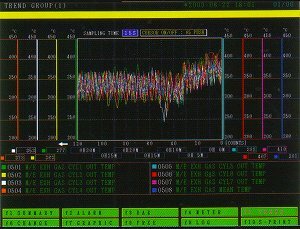 Computer processing of machinery data becomes easy. 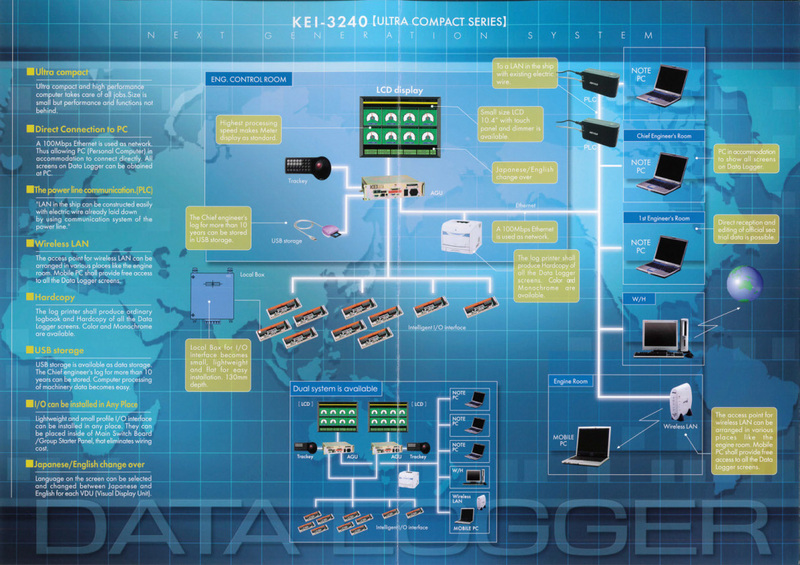 Lightweight and small profile I/O interface can be installed in any place. They can be placed inside of Main Switch Board / Group Starter Panel, that eliminates wiring cost. 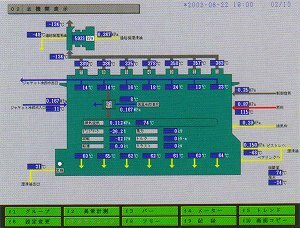 Language on the screen can be selected and changed between Japanese and English for each VDU (Visual Display Unit). Real measured value can be superimposed on Machinery color photograph so that much more real screen can be obtained.